Are you constantly getting Uber receipts, monthly hosting bills, etc. in your email? 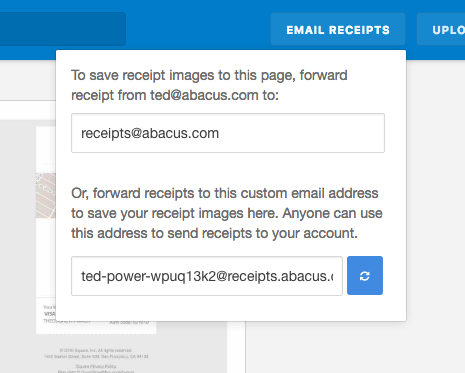 Pro tip: If your company uses Google Apps (G Suite) you can set those email receipts to automatically forward to Abacus. Please note: if you're using a work email, you'll need a verification code, which will be emailed directly to your unique forwarding address. Once it's been forwarded, it will create a PDF image in your Receipts page in Abacus containing the verification code. 4. OK, you're almost there! 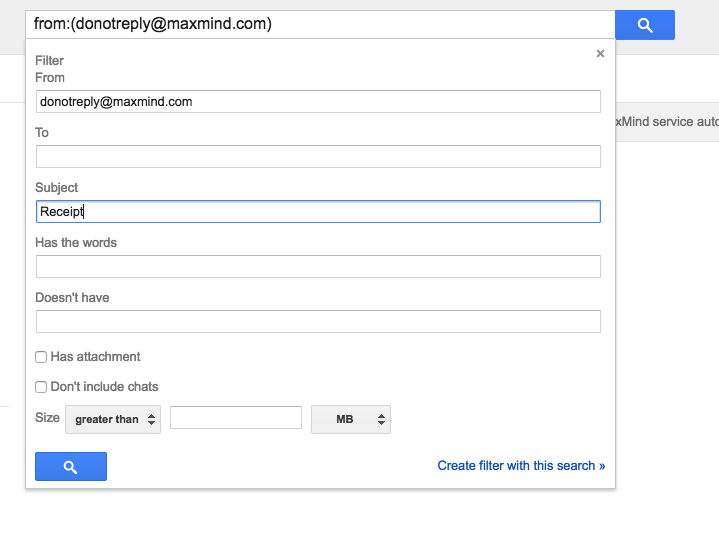 Now you need to find some receipt emails and create filters for them. 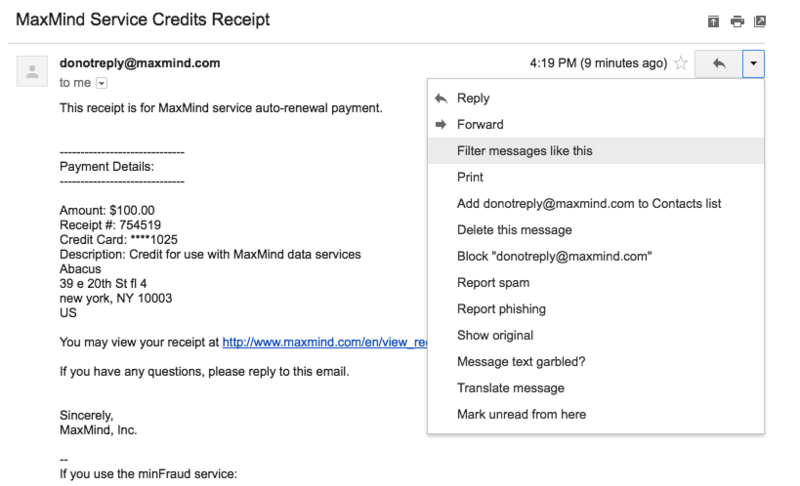 Once you've found a receipt email, click the menu in the top right and select "Filter messages like this"
That's it! Now next time you get one of these emails, it'll automatically wind up in Abacus. 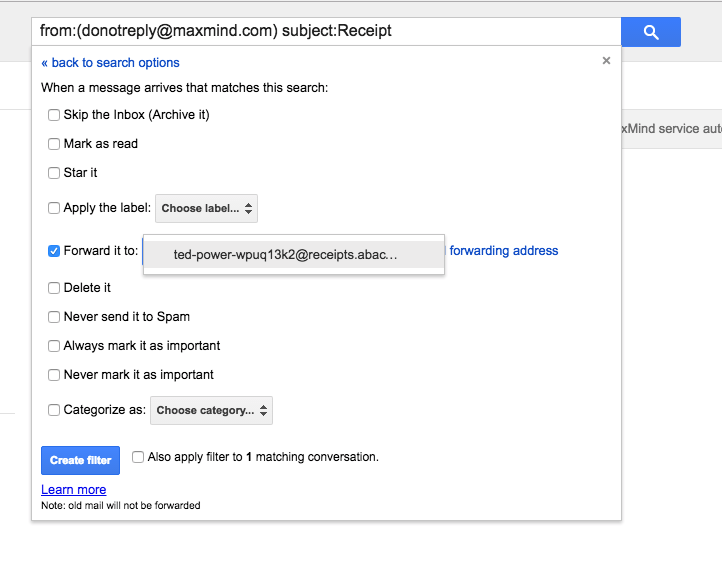 Set up other filters for your other receipt emails.